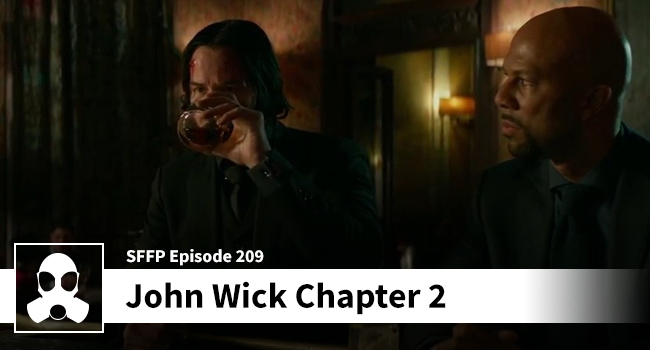 Prepare yourselves for a total sausage party as Dean, Matthew, and Josh offer up a three-man band dedication to an excellent second installment in the John Wick franchise. Most of this podcast episode is spent with the lads all happily patting each other on the back as they drop to their knees in service of John Wick and his martial prowess. Does it lack the initial surprise that the original offered when you first see the incredible gun-play and stunt work? Sure. But this film does a wonderful job of tweaking the action without slipping on the water skis and jumping the shark. Nay, it is a film that is obviously created with love and a firm grasp on the Wick universe. Was Mike Tyson asked to play the Bowery King role? No, but we sure like to pretend at LSG Media, and if you are a fan of the RPG setting “World of Darkness” then you’ll enjoy hearing Josh and Dean yap about it. If you have no idea what that previous sentence means, don’t worry, neither did Matthew and he was on the show. Grab your earbuds, your favorite AR-15, that gorgeous Benelli M4, and let’s get to work on loving Wick for a second time.